Dr. Deshaies received his bachelor’s degree in biochemistry from Cornell University and his Ph.D. degree in biochemistry from the University of California, Berkeley, followed by postdoctoral work at the University of California, San Francisco. His honors include the American Society for Cell Biology–Promega Early Career Life Scientist of the Year Award for 1999 and election to the American Academy of Arts & Sciences and National Academy of Sciences. For two decades, Dr. Deshaies’ lab at Caltech/Howard Hughes Medical Institute investigated the cellular machinery that mediates protein degradation by the ubiquitin-proteasome system (UPS), and how this machinery regulates cell division. During this time, Dr. Deshaies, in collaboration with Dr. Craig Crews, hatched the idea for Protacs. 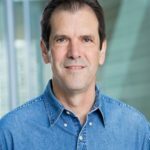 In 2017 Dr. Deshaies left Caltech/HHMI to join Amgen, where he is SVP for Global Research. In addition to his academic work, Dr. Deshaies co-founded Proteolix (with Craig Crews) in 2003 and Cleave Biosciences in 2011.